Tagny Duff is an artist and scholar working across media art and microbiology, with a particular interest in microbial interaction and scientific practices from a cultural point of view. Duff has exhibited biological art works nationally and internationally in venues such the Science Gallery in Ireland (2011) and Espace Multimedia Gatner, France (2015). She has published numerous peer-reviewed articles on the overlap between art and science methodologies and approaches including the recent publication “Mangling Methods Across Performance Research, Biological Arts and Life Sciences” published by Media-N Journal of the New Media Caucus. 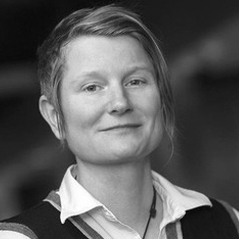 Duff is an associate professor in the Department of Communication Studies at Concordia University and is the director/founder of Fluxmedia, a network for artists, scientists, and humanities researchers to engage in collaboration across art and the life sciences. She is co-director of the Speculative Life Cluster housed in the Milieux institute for Arts, Culture and Technology at Concordia.